Sour cream is a traditional, fermented dairy food and it has been part of the human diet for centuries. However, the past few decades have seen nutritionists urging us to avoid it due to the high-fat content. This misguided demonization of dietary fats is now inexcusable, and sour cream is enjoying a resurgence as a health food. This article will take a look at the nutritional value of sour cream and eight significant health benefits. Key Point: As shown above, sour cream has a healthy nutritional profile and contains a range of beneficial nutrients. Not only does sour cream taste great, but there are many advantages of having it in your diet. One of the biggest benefits of sour cream is that it is high in dairy fat. While in the past many saw this as a problem, recent studies show that milk fat has many positive impacts on health. In a study of 1782 men, a higher intake of dairy fat was associated with lower risk of central obesity and a lower intake corresponded to an increased risk of central obesity (2). Almost all meta-analyses show no association—or even an inverse relationship—between the intake of dairy fat and risk of cardiovascular disease (CVD) (3). Continued guidance to reduce dairy fat in the diet may result in populations having an inadequate intake of key nutrients (4). One study noted that compared to a healthy age-matched control group, 111 individuals suffering a first heart attack had a higher intake of total fat but a lower intake of saturated and dairy fats. Although this is only epidemiology, it is suggestive that dairy fats are protective whereas some fats (possibly vegetable oils) are not (5). Key Point: The vast majority of studies over the last decade suggest that dairy fats are healthy and protective against disease. The dairy fat content is one of the best health benefits of sour cream. As we saw from the nutrition tables, sour cream contains a broad range of nutrients. Sour cream is particularly high in vitamin A, riboflavin (vitamin B2) and phosphorus. After calcium, phosphorus is the most abundant mineral in the body, and approximately 85% is stored in the bones (6). It plays a vital role in strengthening our bones and maintaining dental health (7). One serving of sour cream contains approximately 13% of the RDA for phosphorus. Vitamin A is essential for our eyesight, immune system, and optimal bone growth. In particular, it plays a major role in protecting against macular degeneration (8). The vitamin is also present in carotenoid-rich vegetables such as carrots and sweet potatoes. However, animal foods such as sour cream supply vitamin A in its pre-formed state. On the other hand, vegetables contain provitamin A, which may convert to vitamin A in the body (under certain circumstances). A half cup of sour cream contains around 13% of the RDA for vitamin A.
Riboflavin plays a host of roles in the body. Most significantly, it produces energy through the metabolism of carbohydrates, fats, and proteins (9). Riboflavin also has antioxidant properties and helps fight free radical damage in the body (10). A serving of sour cream supplies approximately 11.5% of the RDA. Key Point: One of the advantages of sour cream is that it supplies a decent amount of riboflavin, vitamin A and phosphorus. Further, it is among only a handful of foods that supply preformed vitamin A. So many people opt for salads believing they are the healthy choice. One problem: many vitamins in vegetables are fat-soluble, meaning they need fat for proper absorption (11, 12). This fact is one reason why a salad should always come with a source of fat such as olive oil—or sour cream. Not only do you need fat to absorb the nutrients in your food, but there is also the taste factor. A low-fat salad is almost painful to endure, and those dull veggies reap the benefits of sour cream! Therefore, ditch the fat-free salad dressing and try making your own at home. For a healthy and tasty salad dressing, add each of these ingredients to a blender and then blend for 15 seconds. Key Point: Ignore conventional (and illogical) advice to use low-fat dressings on salad. Boosting the nutrient value of veggies is just another health-promoting aspect of sour cream. On a similar theme, if you want to make a dipping sauce then sour cream provides a great base. So instead of buying a pre-made dip (that is usually full of soybean oil and sugar), try making your own. Making a dip is simple, and the only ingredients you need are some garlic, salt, and onion. Add them to the sour cream, add an egg yolk or two, and blend. Doing this gives a delicious, thick dipping sauce that tastes much better than the ultra-processed stuff. Key Point: Sour cream is versatile and works well in a range of recipes. A healthy and delicious dipping sauce is just one of them. With 22.5g fat and only 5.3g carbohydrate per half-cup serving, sour cream is a healthy and perfectly viable food for low carb and ketogenic diets. The overall carbohydrate content is approximately 2.3%. Sour cream also makes a great combination with many different low carb foods. Key Point: Sour cream is extremely low in dietary carbohydrate and is very high in fat. This ratio makes it a perfect choice for low carb diets. Sour cream is very versatile, and it can be used in a wide range of savory dishes, as a substitute for heavy cream, and it even tastes great on its own. There are also many recipes to which it contributes so well. A keto and low carb recipe that combines twice-cooked cabbage, bacon, sour cream and cheese. It is hard to imagine that combination of ingredients tasting anything other than amazing. Get the recipe at Kalyn’s Kitchen. This is a cauliflower-based casserole containing cauliflower, sour cream, cheese, bacon, chives, butter and garlic. Perfect for a delicious low-carb dinner. See the recipe over at Low Carb Maven. A keto blue-cheese dressing that is ideal for a salad and also works as a dipping sauce. The recipe calls for sour cream, mayonnaise, Worcestershire sauce, garlic powder and blue cheese. Find out how to make it at Healthy Keto. Many people love ranch sauce, but the shop version usually contains a wealth of questionable ingredients like soybean oil and syrup. However, this version consists of real food ingredients and no unhealthy additives. The recipe is available at Keto Diet App. This one is a recipe I’ve used several times, and it is both straightforward and delicious. It is a low-carb version of Mexican food and combines beef, oil, seasonings, lettuce, tomatoes, cheese, avocado, salt and sour cream. In other words, it mixes a vast range of very tasty foods. Go to Wholesome Yum for the recipe. Key Point: Sour cream is so versatile in the kitchen and works well in many different dishes. Another health benefit of sour cream appears to be the effect it has on heart health. Over recent years, more and more studies appear to support dairy fat as heart-protective. Despite this, it seems that fermented dairy such as cheese and sour cream takes it one step further regarding benefits. Fermentation of milk products reduces lactose (milk sugars) and creates new nutrients not found in milk, such as vitamin K2. In a cohort study of over 100,000 Swedish people, very high intake of milk was associated with increased mortality and fracture. In contrast, ha igh intake of fermented dairy had a lower risk of fracture and lower mortality rate (13). Compared to a control group eating a regular yogurt, study participants eating yogurt containing probiotics and prebiotics saw improved health markers. Long-term consumption (over six months) increased HDL levels without impacting LDL or triglycerides, therefore improving the overall lipid profile (14). A meta-analysis of over 29 studies featuring 938,465 participants shows an inverse relationship between fermented dairy and cardiovascular disease (15). Key Point: Fermented dairy foods such as sour cream appear to have even better benefits than non-fermented dairy products. Similar to all dairy products, sour cream provides a significant amount of calcium. Calcium deficiency is common in the modern world, especially among certain groups. For instance, studies show that less than 10% of females in the 14-18 and 51+ groups have an adequate calcium intake (16). In combination with vital co-factors such as magnesium, vitamin D and vitamin K, calcium plays a major role in bone density and protecting against tooth decay (17, 18). 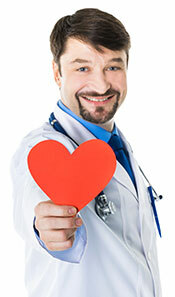 Additionally, the mineral also appears to play a role in maintaining an optimal blood pressure (19). Key Point: Sour cream provides a large amount of dietary calcium. As calcium deficiency is quite common, dairy foods are an important source of the mineral. 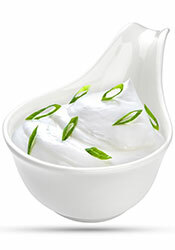 Sour cream is a delicious high-fat dairy food that is full of beneficial nutrients. Not only is it nutritious, but it also works well in a wide number of tasty recipes. Lastly, don’t fear the ‘high-fat’ part, because dairy fat is very good for you. For more on fermented dairy products, see this review of the benefits and drawbacks of kefir. Since I prefer organic, all I could find at closest supermarket to my house is full fat. My mother used to make me berries with sour cream as lunch. I just made it today for the first time in years, but I don’t really like the taste of the full fat sour cream I’m stuck with. We tend to prefer the tastes we grow accustomed to. If your local supermarket doesn’t change, maybe you’ll like it a bit more next time! Does lowfat 2% (not fat free) sour cream have the same health benefits as the full fat version? It won’t have the same fat-soluble vitamin content (like vitamin A). Other than that, low-fat sour cream will still have the beneficial bacteria, same protein content and everything else. Personally, I’d go for the full-fat option – more for taste than anything else – but either option is fine. Interesting. Thanks so much for including recipes in your article and linking to one of mine. Will share on social media.